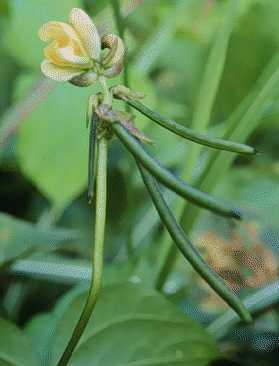 Vigna angularis var.nipponensis is an annual wild species belonging to the subgenus Ceratotropis in the genus Vigna. This species was formerly treated as a member of Phaseolus or Azukia. 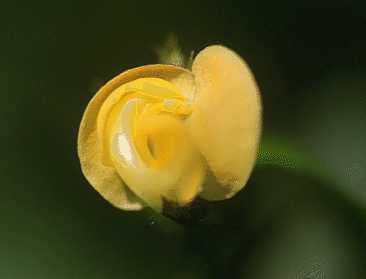 Verdcourt (1970) proposed a very restricted concept of Phaseolus, limiting it exclusively to those American species with a tightly coiled style and pollen grains lacking course reticulation, hence, promoting significantly the concept of Vigna. 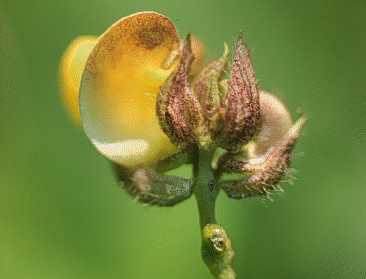 According to his proposal, azuki bean, mungbean and its relatives (which is now recognized as the subgenus Ceratotropis) were transferred to the genus Vigna from the genus Phaseolus. Marechal et al. (1978) followed Verdcourt and presented a monograph on the Phaseolus-Vigna complex. Their taxonomic system is generally accepted now. 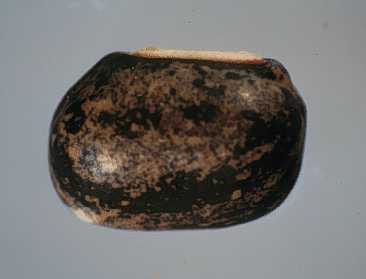 This species is considered to be a progenitor of azuki bean. 2n=22. Japan, China, Korea, Taiwan, Himalayas (Nepal) (Tateishi, 1984). According to Tateishi (1985), the morphology of V.angularis var.nipponensis is as follows. Stems twining. Pods spreading. Bracteoles cymbiformis, conspicuously wrinkled outside, longer than twice the calyx. Inflorescens-rhachis pubescent. Pods 4-9cm. Seeds 3.5-4.3 x 2.5-3 mm. Stipules longer than 5mm. 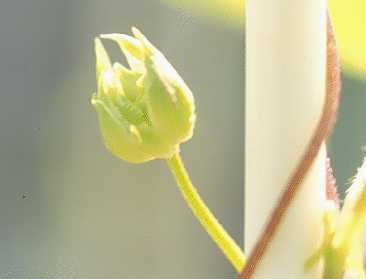 Germination hypogeal, primary leaf cordate with long petiole (Tateishi 1985). 2n=22. 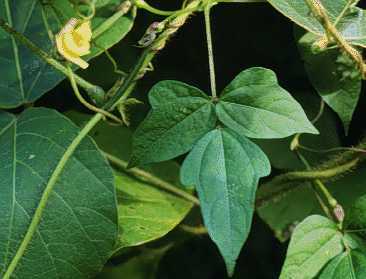 V.angularis var.nipponensis is cross compatible with azuki bean, and is expected to be a valuable gene source for azuki bean (Siriwardhane et al. 1991). 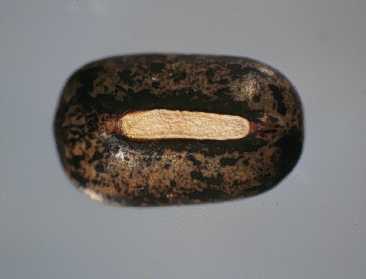 It is also very important species for the study of origin of azuki bean. There are few genebanks that have the accessions of V.angularis var.nipponensis throughout the world. Therfore, collection and evaluation of this species is considered to be very important.